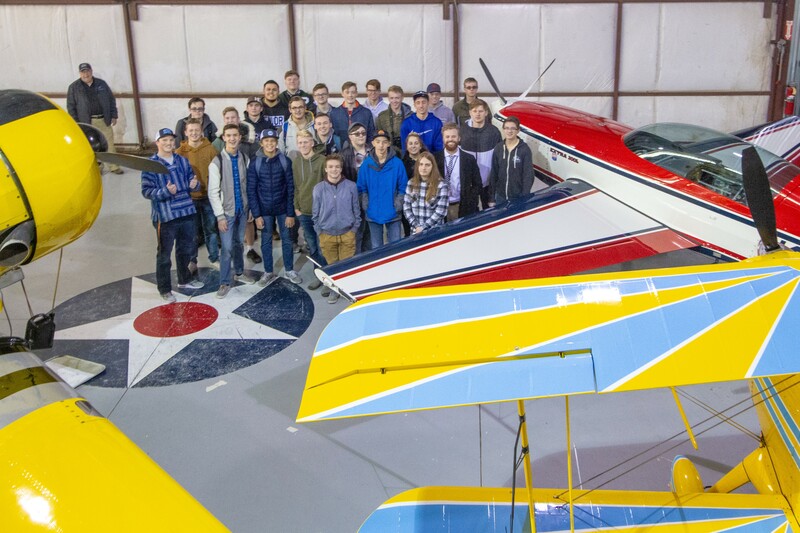 Attached is a photo of 26 ACL High School Aviation students and their instructor Mark Halls from Nebo School District visiting Pilot Makers Advanced Flight Academy on December 19, 2018. The day before, December 18, 2018, 25 students plus instructor Mark Halls visited Pilot Makers in Heber, Utah. The tour included an orientation discussion about each of the 7 different types of airplanes in the Pilot Maker fleet of airplanes, plus a tour of the airplane maintenance department. Thank you to Pilot Makers, and Mr. Halls for arranging this for the aviation students. It was a great learning opportunity.